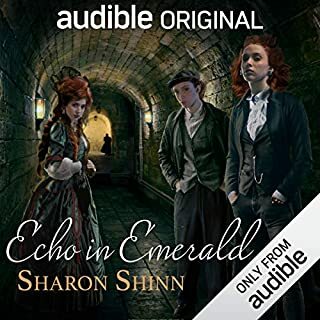 I am a huge Sharon Shinn fan, so I preordered this trilogy, and I’m loving it so far! Definitely she is tackling some darker themes, and the whole idea of the echoes is very interesting and novel (and timely with regard to ideas of robots and consciousness). This series seems like maybe she was given freer rein when writing—there are some steamier scenes (nothing objectionable, just more than she has done before) and some darker plot points (murder/execution in the first of this trilogy, multiple murders and a mafia-type setting for this one). Above all of that, though, this book just grabbed me. The narrator has done a phenomenal job (nothing is distracting to the reader, her voices are all enjoyable and distinguishable from one another) and the whole setting and plot kept me guessing and wondering all the way through. I listened to this almost straight through on a 15 hour drive and it was wonderful. I will definitely listen again to catch everything I might have missed the first time, and I’m sure I will buy this in print when it comes out, but this audible exclusive release was a good fit for the content, I think, and a great addition to her body of work! This is very British lit kind of in the vein of Bridget Jones diary (there is some cursing, though not a ton, and lots of drinking), but it’s a cute serendipity or when harry met sally-type story and Eleanor Tomlinson was a PERFECT narrator for it—the male narrator does a fine job as the male protagonist, but her voice is really rich and mellifluous and just lovely. I’ve been listening as I wrap Christmas presents and it’s all just delightful. 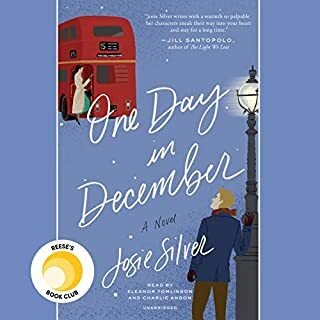 I had read this years ago and thought what a wonderful story, drawing all these different characters and their respective storylines together, so when I saw an unabridged recording I was excited. Another review said they didn’t click with the narrator, so I was a little leery, but I think it was fine. (I do wish the Vanessa Redgrave abridged recording would have just gone ahead with the whole book, I’m sure she did a superb job but I can’t stand abridged works:/). The narrator does do an older/creakier woman’s voice for the main character but she is supposed to be 63 or so 🤷‍♀️. She does a better job with men’s deeper voices than many female narrator, too, and her child (well, teenage girl) voice was MUCH easier on the ear than many narrators. This was an awesome listen for my commute in chilly weather, very British, very cozy. 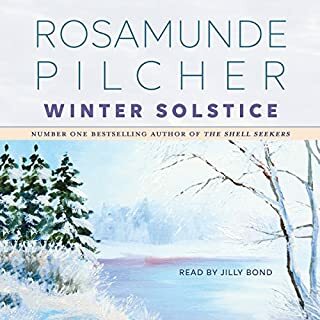 Rosamunde pilcher is wonderful, and I would listen to audiobooks by this narrator again. This was a book I read years ago and remembered liking—it’s just as engrossing as I remembered. 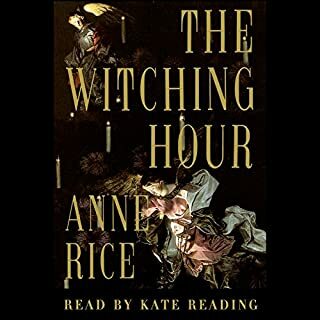 This was my first listen by Kate Reading and I think she did a phenomenal job with accents AND voices—she does a very creditable men’s voice and variously accented men’s and women’s voices. Awesome job. The one exception is Rowan’s voice—in the text she is described as having a husky/whiskey voice, so Ms. Reading does her voice as a lower pitched/guttural woman’s voice. It’s usually okay, just didn’t ring true time when she was supposed to be very emotional/hissing. I’m sure mimicking having that raspy voice is kinda impossible if you don’t actually have one, but this didn’t overall affect my enjoyment of the story. It’s overall definitely a good tale, good production, nice job by the narrator. It is definitely gothic/horror, though, and certainly not for everyone, as another reviewer stated. 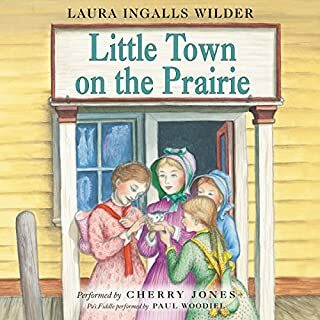 I’m a huge fan of Laura Ingalls Wilder, and have never understood why audio productions weren’t widely available, so I was very excited to see the whole series appear BUT I don’t understand why the narrator went in the voice direction (particularly for Laura and Pa) that she did. The accent/speaking style is evident in the sample, so just be aware that it doesn’t (as I thought it might) diminish through the text or kind of grow on you (at least it didn’t on me). I finished the audio but it annoyed me mildly throughout. I’m just disappointed because sometimes audio can add so much to a text, particularly one I’d share with my kids. On the plus side, I do like the inclusion of fiddle music and the song excerpts being actually sung (the narrator does a good job with those, I will say—it adds something hearing a tune rather than just seeing the text printed). Her forced (unnecessarily) accent just makes this one I wouldn’t whole-heartedly recommend as I would a fantastic production. 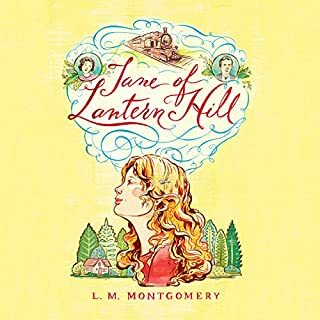 I'm disappointed that this wasn't awesome, because I liked this book a lot as a kid (though some things struck me differently listening as an adult) and I was really excited to see more of the lesser-known LM Montgomery works getting audiobooks. I thought the narrators voice would grow on me, but it didn't really. She attempts different voices but is just very bland, to me, and did not do a good job with Jane's fathers voice. Throughout the recording, too, are multiple duplications of lines (as if the narrator took a break and then reread the last line and went forward, but the editing left both lines in). Not a huge deal, but this is the first audiobook from audible that I've heard this on. It just seems unpolished. Overall, nothing awful but could've been much better. Recommended for fans, but for someone new to LM Montgomery I would choose something else. I have listened to Juliet Stevensons version of P&P several times and it is lovely to listen to, but I like this version as well or better. 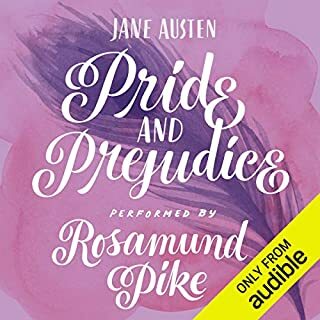 Narration by actors can be a mixed bag, it Rosalind Pike makes me forget she is an actress, she is just a lovely narrator--the voices are distinctly different and the story flows beautifully and it is a pleasure to listen to. 5 stars. You'll learn why things are out of control so you can get them back in order and keep them that way. 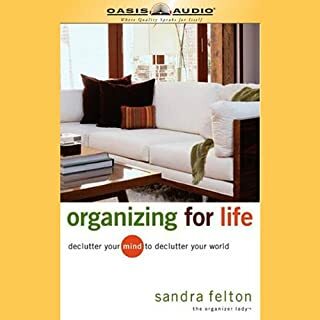 You'll uncover the mental and emotional roots of clutter - guilt, fear, rebellion, habit - so you can get rid of it. Even the best cleaning methods are useless if you can't keep up and soon slip back into old habits. Stop struggling. You can overcome that old, unsuccessful mind-set and discover a new way of thinking that makes messiness a thing of the past. I enjoyed this to listen to (while cleaning;) but preferred the book because this is not, in fact, unabridged, and sometimes, as another reviewer has also stated, takes out entire sentences and paragraphs that takes away the meaning or point of anecdotes, etc. otherwise a well-chosen narrator and lots of good info. L.M. 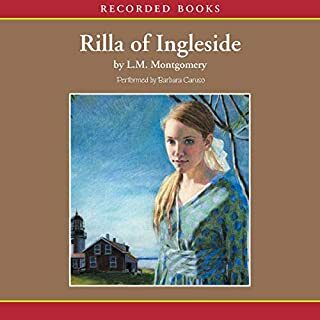 Montgomery's "Rilla of Ingleside" was always one of my favorite books growing up, and it is just as delightful to rediscover it now. Barbara Caruso's voice is flexible and captures the different 'voices' in the novel very well. There is some serious (wartime) subject matter, and she carries this off very well in addition to the lighter, humorous material. This audiobook is a very enjoyable listen for any Anne fans.